Work is one area that can cause stress. The different things that make you stressed will vary from person to person, but in general, certain areas, specifically family, work and money, tend to generate the most stress. Some of the things that make you stressed can include anything from family to an existential crisis. Sibling rivalry: Whether you have one sibling, or twenty, sibling rivalry can be very stressful. Feeling inadequate to a sibling can make you very unhappy, and put a strain on otherwise happy family gatherings. Try to cope with this stress by not playing along. You can't control other people, so if a sibling insists on playing these childish games, let it be on him or her. Do whatever you need to do so that you don't get sucked into the game; get up and go to the kitchen, or if you are at a family gathering, go speak with another family member. Stress with a parent: Dealing with a parent that provokes anxiety can be even more stressful than dealing with a sibling that does! Whether your parent lives across the street or in another country, the only way to deal with this stress is by setting clear boundaries. Let your parent(s) know what you are willing to discuss and what topics are off the table. Similarly, let them know when you plan on visiting and when it's not feasible for you to do so. Yes, it's true that they might gripe a bit and try to make you feel guilty, but if you stick to your guns, they, and you, will have both moved on to new topics in no time. There are a lot of things that can be stressful out there, but work should not be one of them. Do whatever you need to do to make sure that whatever happens at the office stays there. If that means taking a fifteen minute walk before you get home, then so be it. On the job stress: If you find yourself stressed while at work, take a mini break and do some deep breathing or at least three breaths. After doing that, try to see the stress as a positive. For example, if your supervisor drops a huge project on your desk at the last minute, instead of seeing red, say to yourself, "Wow, she must really think I'm capable!" Unhappy: If you are just plain unhappy, first try to figure why you feel that way. If you are not being challenged enough, then look for more work, or ask to sit in on a project, or a meeting work. 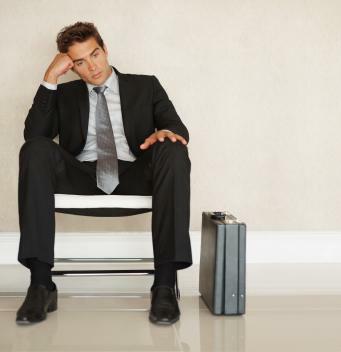 From not getting along with colleagues to feeling bored, you will have to take steps to combat those issues. If not, or if things are completely untenable, then be prepared, as you might have to leave and take your chances elsewhere. Money is another thing that might make you feel stressed; either you don't have enough of it, or you are not sure how to safeguard the money you have. Not enough? : The only thing you can do if you feel that you don't have enough money is to cut back on your expenditures, and then to try to make more, usually by taking on another job. Safety concerns: Keep in mind that, according to financial expert Suze Orman, money you'll need within ten years, does not belong in the stock market. From there, make sure that your money is divided up to the FDIC insured limit at several different financial intuitions. Meditating: At its core, meditation is sitting quietly, for about 15 minutes to observe your thoughts. Practicing meditation can help you to feel more grounded and help you find a deeper connection to the universe. Explore your hobbies: If you have a hobby you really enjoy, why not engage in it more often? From there, try to learn everything you possibly can about the subject. Doing so can lead your life into new areas you never even dreamed of exploring! Be grateful: Instead of bemoaning the fact that you don't know what your life's purpose is, why not celebrate what you do know and what you are grateful for? Make a list of all the things you are grateful for, or just simply sit and think about them. This too will foster a deeper connection to the universe, and will more likely than not, lead to feelings of increased happiness. Things that can make you stressed can cover a large cross-section of difficult life areas, but that doesn't mean that you have to succumb to feeling anxious. Instead dissect exactly what's making your feel stressed, and then come up with a plan to combat it. This way, you'll be feeling more blissful in no time!